If you’ve been to the local grocery store or drugstore in your area recently, you’ve probably seen giftcards on display near the cash registers and maybe purchased a few for yourself or a friend in the past. Giftcards are a great tactic for spending money on specific retailers, but with 93% of American consumers buying and receiving giftcards, where do the discarded giftcards go and what benefit is there to buying one? The most common use for a giftcard is to provide a consumer with a discount on a desired purchase. 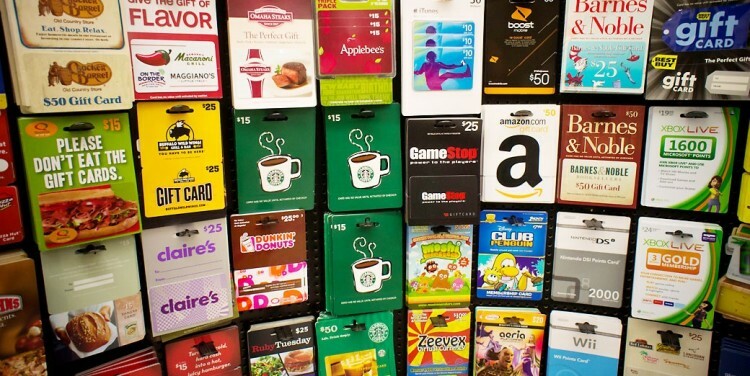 One thing most people overlook is that most times, the purchase was within the giftcard’s monetary amount and still hold the chump change that we no longer need. A great way to optimize that now defunct card for you, is to sell to gift card marketplaces to make a profit --or buy one with enough money left over on it at a discount for something you do need! If you don’t need to unload your slightly used up giftcards for cash, buying someone’s old giftcard can be helpful especially if you’re looking for discounts on items you would already be buying. For some stores that don’t offer many sales or promotions, a giftcard can mean you can make your own! Imagine saving yourself up to 60% on something you were planning to buy full price with the help of a discount giftcard from sites like Whizwallet, Raise, and Cardpool, where a $100 can potentially cost just $50 for you.